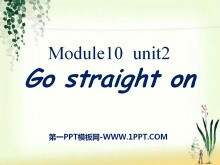 《Go straight on》PPT课件8 Warm -up Game:说反话 T：Don`t talk. 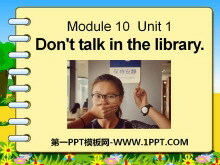 Ss: Please talk. T: Go! Ss: Don`t go! 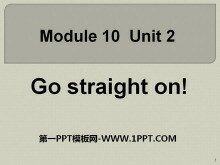 Teaching aims 1.重点语句： Go straight on! Turn right! Turn left! Stop! Don`t go! 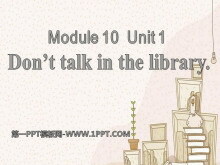 2.注意祈使句的语音语调，学..
《Don't talk in the library》PPT课件2 Dont play toys in class. Dont sleep in class. Dont drink water in class. Dont play basketball in the classroom. Dont walk on the grass. 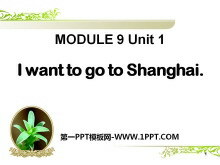 ... ... ... Library rules 1、Please ..
《I want to go to Shanghai》PPT课件2 want to 的用法： 1、want to意思为想要 2、want to do的意思为想要做 （want to +动词原形） For example I want to take a photo. 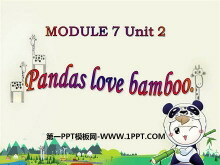 I want to bring peace to the world. I want to . 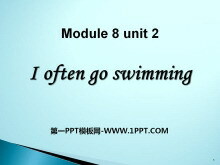 ..
《Do you often play with dolls?》PPT课件 New words 很久以前 long ago a long time ago 我很乐意 I'd love to. 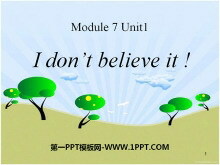 not really 不全是， 事实上没有 show 把....给（某人）看 Show me your book. never 从不 I never go to scho..